Acquiring lands in Ghana is something that involves a lot. Without experience, therefore, one is likely to get into several problems. Many people who have bought lands without any experience have either lost it or have had to fight for it in court. Since we would always need lands for agricultural or building or leasing purposes, it is necessary to find out the right way of acquiring and registering lands in Ghana. Before we delve into the process and procedures for purchasing land in Ghana, let us update ourselves with the various forms of interest that exist over land and persons they are vested in. INDIVIDUAL/PRIVATE LANDS: These are lands owned by individuals and private entities. FAMILY LANDS: These are lands managed by Heads of families assisted by principal members of the families. The allodial title is the highest title in land recognized by law. Only traditional leaders, families or the Ghanaian government can hold such a title. It has an absolute interest meaning it does not expire. Customary freehold: This is an interest that individuals or groups hold in a land, which is owned by a larger traditional community – the allodial owner – of which the interest holders are members or subjects. It is an interest that is transferrable to successors of the individual or subgroups until there are no successors. Common law freehold – Common law freehold is similar to the customary freehold. The difference, however, is that this interest can be acquired by both strangers and members of the community that owns the land. A stranger in this regard refers to a Ghanaian who is not a member of the land-owning community. It is important to note that the 1992 Constitution by article 267 (5) forbids the creation of freehold interests in stool land in Ghana. A leasehold/lease is an interest in land that has a specified start and end for a period, subject to payment of annual ground rents and covenants. It usually expires from 50 to 99 years. They are created under contractual, share-cropping or other customary tenancy arrangements. Two very common tenancies in the Akan areas are “Abunu” where the land is acquired from the owner and “Abusa” or “do ma yenkye”, where farm proceeds are divided into two- thirds between the farmer and the landowner. Other areas have different names for these arrangements in the local dialects. Someone may acquire a land but not acquire it absolutely. A licence to operate is usually given to him/her temporally. These include lands near highways etc. Since we know there would be future developments in such areas, those lands are not sold absolutely, a license is given out for temporal use. This means that one does not have to put up a well-structured building on it. They usually last for three or five years. INDIVIDUALS: Here, you acquire the land from a private individual who may have acquired the land from someone else or from a chief. One must be very careful when purchasing from individuals. It would be necessary to research on the land to see if it really belongs to the person. Also, you need to know if it has not been sold to anyone else or if the land has not been taped for future national projects. Again, let the seller provide certified site plan demarcating the precise location of the land including its coordinates. It is necessary not to exchange money until you are assured of the land and have negotiated sales term. FAMILY HEADS: Here, you acquire the land from a family head. COURT: Here, you acquire the land from the court through auctions. Applicant/developer negotiates with the chief concerned for the land. A solicitor of the supreme court (i.e. a practising lawyer) must sign the back of each copy with his stamp duly affixed. Each copy of the document must have a site plan attached. Two extra site plans, making five (5) in all must accompany the documents. The back of the site plans are to be endorsed by both the chief (lessor)/seller and the applicant (lessee)/buyer. Each site plan is to be certified by the stamps of a licensed surveyor and the Regional surveyor and duly dated. At least two principal Elders of the stool (with status) must sign as witnesses. The witnesses of the applicant (lessee)/buyer must write full names, provide addresses and signature. Documents must be submitted to lands commission. Processing and registration fees should be paid. Chairman of Lands commission grants concurrence. Documents are released for stamping at land valuation Board. Applicant obtains a Tax Clearance Certificate at Internal Revenue Service. The document is registered at Deeds Registry at Lands commission. Original copy of the document is released to the applicant. Applicant/developer negotiates with the actual owner concerned for the land. The back of the site plans are to be endorsed by both the actual owner (lessor) /seller and the applicant (lessee)/buyer. Processing and registration fees paid. Documents processed at Lands commission. Documents released for stamping at land valuation Board. Applicant obtains Tax Clearance Certificate at Internal Revenue Service. Document registered at Deeds Registry at Lands commission. Original copy released to Applicant. Applicant/developer negotiates with the family Head and principal members of the family concerned for the land. A solicitor of the supreme court (i.e. a practicing lawyer) must sign the back of each copy with his stamp duly affixed. Documents submitted to lands commission. As seen above, the process involved in successfully acquiring and registering a land is quite strenuous. Are you wondering how you can acquire and register a land without going through all the stress? Azunus Realty consult is at your service. We serve as an agent in acquiring and registering lands on your behalf. In acquiring a land, it is necessary to get someone who is experienced and knowledgeable in the field to lead you. This is to avoid problems, loss of land after acquisition, court issues etc. 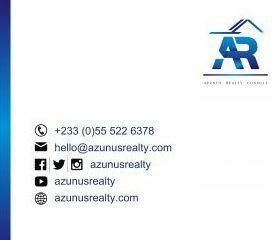 Azunus Realty Consult brings on board many years of experience and expertise in acquiring and registering lands in Ghana. You, therefore, need not go through the hustle of securing a land all by yourself only to lose it later. We do all the necessary work to make sure the land you desire is registered and available to you for your use without any hindrances. Our online portal also helps you locate lands to acquire. You search for available lands at various locations and choose from among them. After making your choice, we take it from there. We give you the necessary information you need to know concerning acquiring and registering it. After your approval, we represent you, acquire the land and register it on your behalf. Acquiring and registering lands in Ghana is made easy with Azunus Realty Consult. Contact us now!  Azunus Realty Consult is the best for all the consultancy you need in the field of Real Estate. we are committed to providing professional and expert advice and services in the field of Real Estate. Connect with us now.